Molly Barlow fled Star Lake a year ago to get away from everything that was wrong in her life. Her friends have turned on her, making her life a living hell. Her boyfriend ex-boyfrend, Patrick, cannot stand the sight of her because she betrayed him by sleeping with his brother, Gabe. To top it all off, Molly's own mother weaved the tale of this infidelity into a best-selling book, which lead to her self-imposed exile. Now, she has to endure 99 days back in her home town before she packs up and leaves for college. 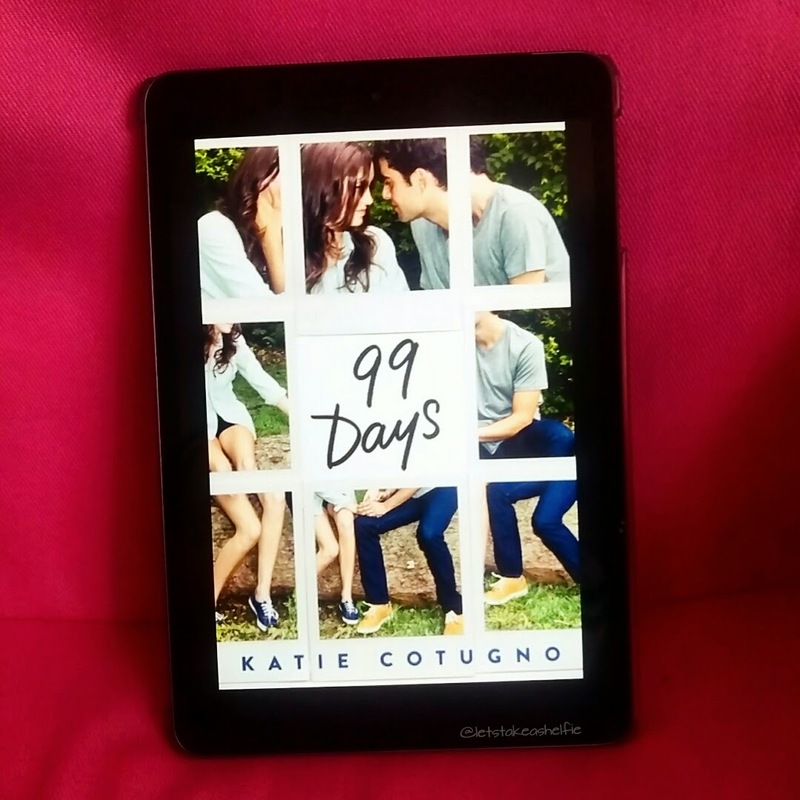 There's just something about Katie Cotugno's books that make them so captivating that I never want to put them down. Her main characters are flawed and go down paths that make you cringe. This is what makes them so believable. Molly and Gabe's characters are no different. They knowingly, without signs of remorse, put themselves into situations that make you feel like they deserve all of the negativity that is crashing down on them. Except, when you weigh out which of the two is getting the most heat from their situation, it's clearly Molly. It's this particular reaction that the author does a great job of focusing on in this book. In our society, when a relationship goes awry because one partner has been unfaithful, the blame, typically gets directed toward the female. Gabe's character often points this several times to try and make Molly feel like she isn't alone and wasn't the only person who did Patrick wrong. I think some readers will have a hard time getting through 99 Days. This holds especially true if the idea of cheating is hard for you to get past. I urge these readers to dig deeper and push on. Although this book appears to be about infidelity and your typical teen aged love triangle on the surface, I promise it's much, much more. Definitely a must read for anyone who adored How To Love. To learn more about 99 Days and other amazing books at HarperCollins Canada check out them out on Twitter and Facebook. For fans of YA books follow @hccfrenzy on Twitter.